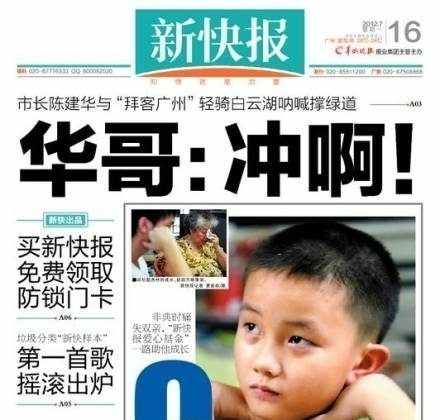 Guangdong Province has often been described as a laboratory for political reform in China, but on Monday one of the province’s newspapers was given an old fashioned jolt of repression that was all the more severe for seeming arbitrary. The New Express Daily (Xinkuibao) was restricted in what it could cover and its editor-in-chief was purged. Xinkuibao employees were notified that the paper would no longer cover any subject matter not originating from Guangdong, including telephone interviews, according to a news update on Sina.com. 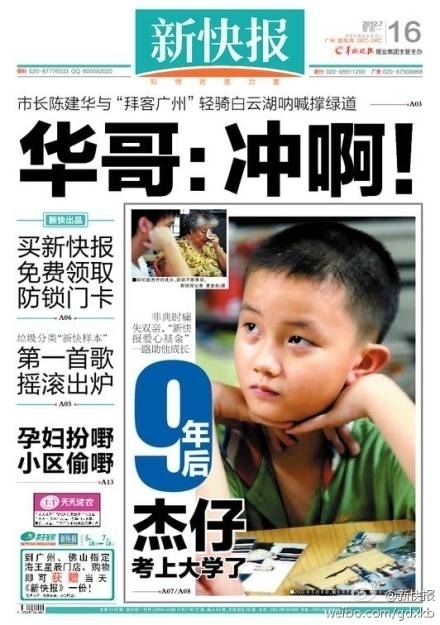 Xinkuibao’s July 16 edition was a shadow of its former self. It contained no commentaries, domestic or international news, and longstanding sections like Depth, Great Way, and Opinion Weekly were also removed. It only covered local news, sports, and entertainment. Former Editor-in-Chief Lu Fumin confirmed his departure on his microblog and said, “Being able to grow together with Xinkuibao has been a great blessing in my life. After today, I will return to work at the Yangcheng Evening News.” The Yangcheng Evening News is a paper based in Guangzhou, also in Guangdong Province. No one could say clearly, though, why that essay had offended authorities, except that it discussed Xi Jinping and Li Keqiang, the presumptive next head of the CCP and next premier, respectively. With their ascension to power expected to come in October at the 18th Party Congress, discussing them is considered a sensitive topic. However, other newspapers carried the same article and were not punished. During the 19th anniversary of World Press Freedom Day, on May 3, commentator Huang Xiuhui wrote an article titled, “Chinese Journalists Lose All Dignity,” in which he described how Chinese journalists feel about not being able to report the truth. Huang said Chinese reporters are often called uncrowned kings, but he feels the Chinese Communist Party Propaganda Department is the true uncrowned king, and the reporters are just their hack writers. Chinese reporters have been called many other names, including courtesans, news laborers, and high-class beggars. Huang believes Chinese journalists face a continuous sense of being violated.